IOB Recruitment 2017 2018 has announced recently for 02 Senior Economist, Chief Customer Service Officer Posts. IOB Senior Economist, Chief Customer Service Officer Jobs. Want to apply for it? Last date has mentioned as 22.12.2017, you have to apply this recruitment before this date. We have updated latest information such as process of examinations and interview, eligibility criteria, Offline registration processes, payment of prescribed application fee/intimation charges, IOB pattern of examination, IOB Syllabus, IOB Question Paper, IOB Admit Date Release Date, IOB Exam Date, IOB Result Date. Check below all details. Indian Overseas Bank (IOB) is a major public sector bank based in Chennai (Madras), with about 3400 domestic branches, including 1150 branches in Tamil Nadu, 3 extension counters, and eight branches and offices overseas as of 31 October 2017. Indian Overseas Bank has an ISO certified in-house Information Technology department, which had developed the software that its branches used to provide online banking to customers earlier.The bank has achieved 100% networking status as well as 100% CBS status for its branches. IOB has a network of about 3300 ATMs all over India. 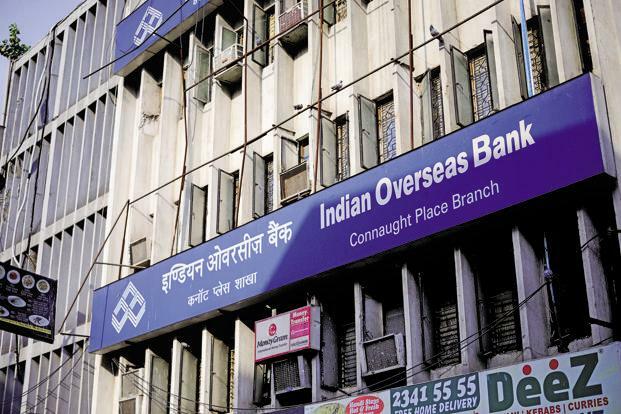 Indian Overseas Bank has branches in Singapore, Colombo, Seoul, and Bangkok. It has representative offices in Guangzhou, Vietnam, and Dubai. IOB also is part-owner of a joint-venture bank in Malaysia. Age limit range :Age Limit Should not exceed (For Post 1 - 45 Years), (For Post 2 - 60 Years). The Upper age limit is relaxed by 5 years for SC/ST; 3 years for OBC, 10 Years for Persons with Disabilities (15 years for SC/ST PWD’s & 13 years for OBC PWD’s) and for Ex-S as per Govt. of India rules. Candidates Relaxation in Upper Age limit will be provided as per Govt. Rules. 1. Senior Economist - Rs.75000/ per month all inclusive subject to deduction of taxes. 2. Chief Customer Service Officer - Rs.60, 000/- per month all inclusive subject to deduction of taxes. 3. Read the Advertisement to know full details.